There are more ways than ever to go green in our homes, but how about the towns and cities that we live in? In this final edition of the Eco-Friendly Trend Report, we will go over urban, home, and technology trends that are working together to make green cities a part of everyone’s lives. One of the biggest challenges we face is making our cities greener. Urbanization and the subsequent lack of space make it difficult to accommodate both rising populations and sustainable measures. 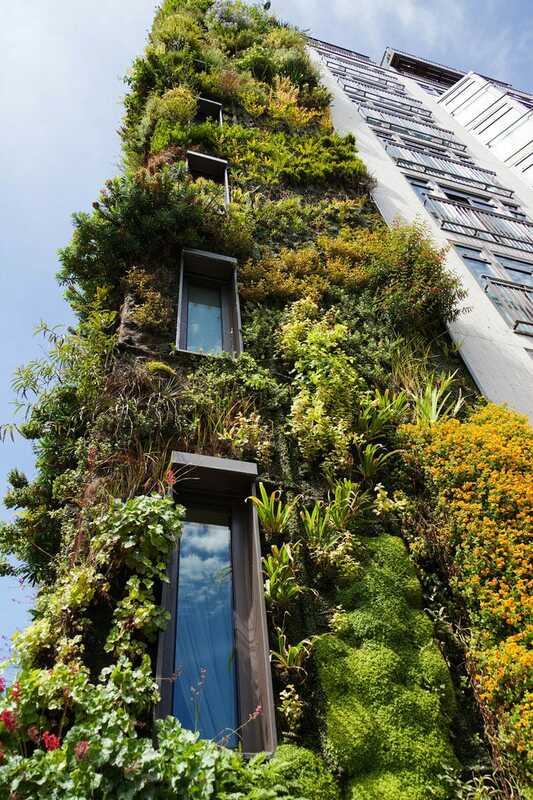 To solve this, projects have sprung up in recent years to convert city buildings into “green buildings”, where greenery, soil, and flora planted into the structure. Aside from the visual impact, these structures would provide a number of eco-friendly opportunities. The plant life on the walls traps matter and harmful gases in the air, mitigating pollution and improving quality. The plants also provide insulation for buildings and help cut down on power and energy use. Skyscrapers, notorious for consuming large amount of energy, are also being transformed into “eco towers” with advanced rainwater collection systems, solar farms, and wind turbines that aim to produce as much energy as the skyscrapers consume. Green is literally on the rise in cities, with San Francisco recently becoming the first U.S. city to require certain new buildings to be built with a green roof. 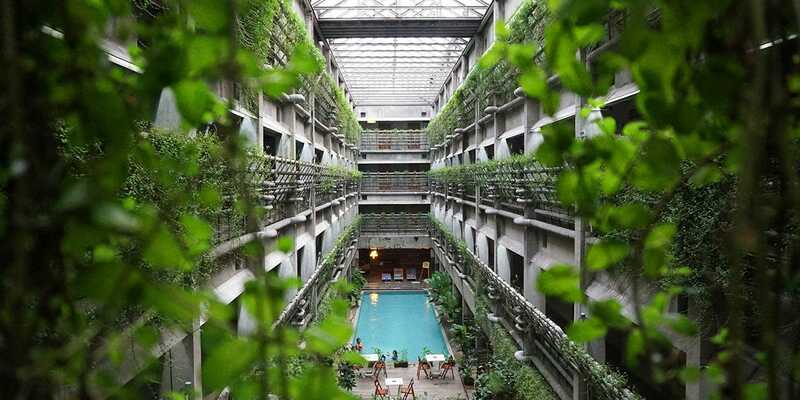 As more and more cities adopt green architecture, it would revolutionize the future of cities as we know it. While a lot of work still has to be done to innovate green buildings, the rise of community gardens in cities will certainly work alongside these efforts. Community gardens have been around for hundreds of years, but have become a hot trend in big cities. 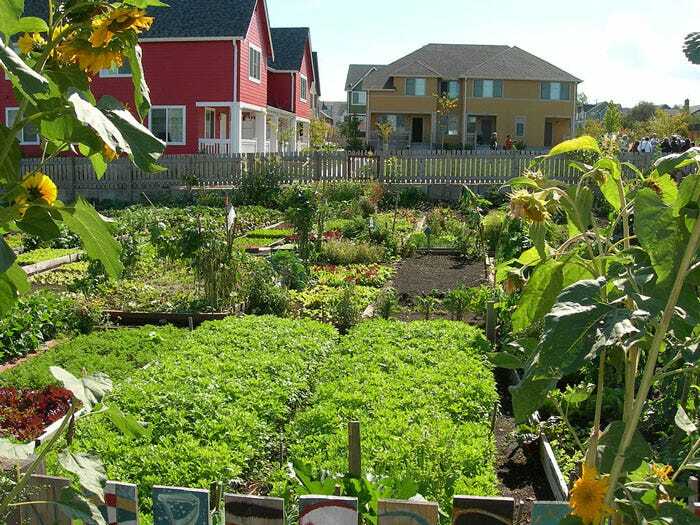 In addition to the experience of getting to grow and eat your own food with your community, these gardens have valuable eco-friendly benefits: they allow water to infiltrate into the ground and thus limit runoff; they save carbon-producing car trips to the market to buy vegetables; and they cool cities by shading surfaces like pavements and rooftops that tend to collect heat. We reported the increasing demand for eco-friendly home improvement items in previous trend reports, and that demand continues to rise with a new range of products. Metal roofs, in particular, are one of the options that has been growing in popularity in the past year. Available in a variety of styles and colors to match traditional roofs and fit into any community, they also feature highly reflective coatings, providing year-round cool protection from heat and thus cutting down on energy costs. In addition to being 100% recyclable and made of 25% recycled materials, metal roofs can be installed an over an existing roof without need for removal or disposal. Add to that the long-term warranties and possibility for tax credits, metal roofs are durable and sustainable, with the ability to transform neighborhoods and residential areas. 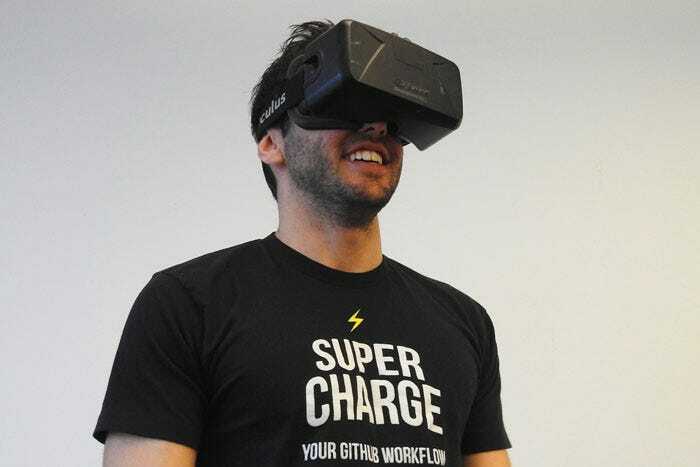 This year, we’ve seen a surge in the realm of virtual and augmented reality. From the introduction of VR devices to the mainstream takeover of Pokemon Go, we see virtual reality’s ability to project things into the physical world and mobilize people to act in it. If fantastical worlds could lead people to do things in the real world, imagine if VR games could get people to clean up real waste, cut down on real water supply, and make real changes to “green up” our planet. Game markers are considering designing VR games that have a green-focused storyline and compelling game objectives that would lead players to enacting real social change. An example is the game Doom Pepper Sailors, a game being developed in the Netherlands. It is set in an apocalyptic world of water pollution and disease where players will have to compete and navigate actual waterways to identify contamination. Even the United States Congress has issued grant money for the development of climate-changed related video games. While there’s still a lot of development to be done for this new wave of “eco games”, VR is the future and could possibly even help us save it. We see great potential for our cities to become truly green cities through these trends. Living buildings and skyscrapers and eco-friendly home improvement materials are transforming the face of our homes, and if more and more buildings and homes adapt to the growing wave of green innovation, the brighter the future becomes. Finally, if eco VR games are able to take the world by storm, we would see people out and about cleaning up their cities and making it a greener place. We have a long way to go, but if these trends continue to flourish, a green city would no longer be a special distinction – it would be a reality for all.